I'm not into scrapbooking too much but I love paper crafts - flowers, origami, the like. Amy Butler has taken her beautiful designs and put them on paper. Yay for us! 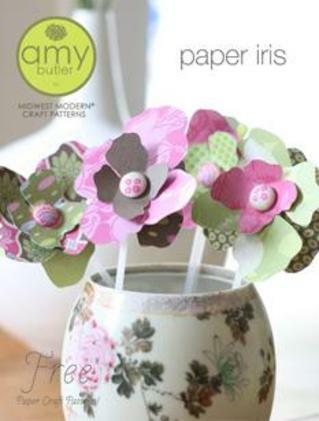 She has downloads on her site for some free paper craft projects (such as these flowers). Go for it.